Prices above are only indicative rate and are based on two people sharing a double room. The price may vary depending on the season of travel and the number of people you will be traveling with. Contact us with your travel dates and we will extend to you our discounted rates for Diamonds Dream of Africa Malindi. Diamonds Dream of Africa is a luxurious home base for your Malindi experience, It is a perfect place to pamper yourself against one of Kenya’s most beautiful backdrops. 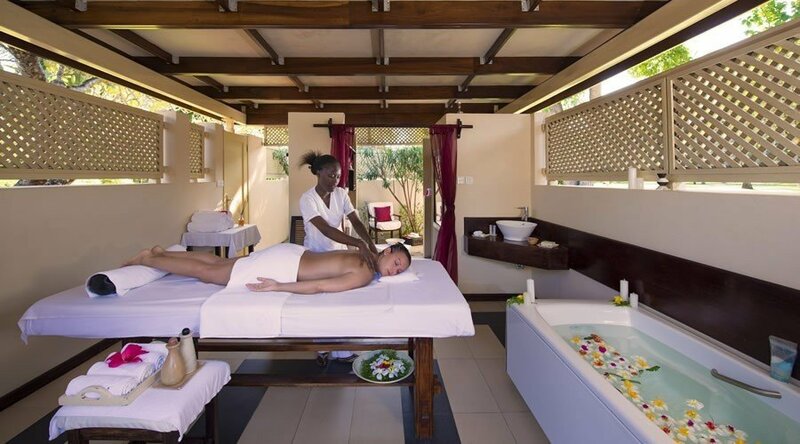 Diamonds Dream of Africa offers a wide array of spa services, water activities, and plenty of spectacular beachfront property for guests to sunbathe, swim, and recharge just outside their doors. A step up in amenities from its sister resort, Sandies Tropical Village or Diamonds Dream of Africa nonetheless offers the same high quality value. This ensures guests will receive the utmost attention and the highest level of service during their stay. Diamonds Dream of Africa is just half a mile from Malindi. It provides an immersive tropical escape with easy access to the town center for guests looking to explore. The resort features 2 Dream of Africa Suites and 33 Junior Suites, all with garden views, hydro massage Jacuzzi baths, and private terraces with sun loungers. 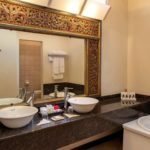 All rooms are air-conditioned and include king-sized or twin beds, mosquito nets, sofa beds, mini-bars restocked daily, flat-screen TVs with satellite channels, free internet, digital safes, toiletries, and bathrobes. Dream of Africa Suites feature a separate living room. Room service is available upon request in every room. Childcare and on-call doctor visits are available upon request should the need arise for any guest during their stay. On the resplendent shores of the Indian Ocean, Diamonds Dream of Africa leaves no stone unturned in its dedication to providing the best vacation experience possible. Ready to book your holiday at Diamonds Dream of Africa Malindi ? Contact us for the best rates. A true all-inclusive experience, Diamonds Dream of Africa offers many facilities to allow guests to relax, work out, shop, and explore. 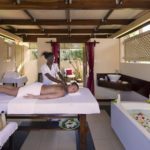 Guests looking for exercise or relaxation can access the nearby water sports center, PADI-certified diving center, and the Mvua African Rain Spa, complete with thalassotherapy, a Turkish bath, and a full gym. A beautiful outdoor pool complements the serene oceanfront view and offers a calmer alternative to the lively ocean waves. Spherique Boutique provides a delightful opportunity for shoppers to find unique beach clothes, accessories, and other novelties. The two Dream of Africa Suites feature a separate living room, rooms with hydromassage jacuzzi baths and a private terrace with comfortable Balinese sun loungers. 33 Junior Suites with a garden view are personalised with Italian-designed furniture. 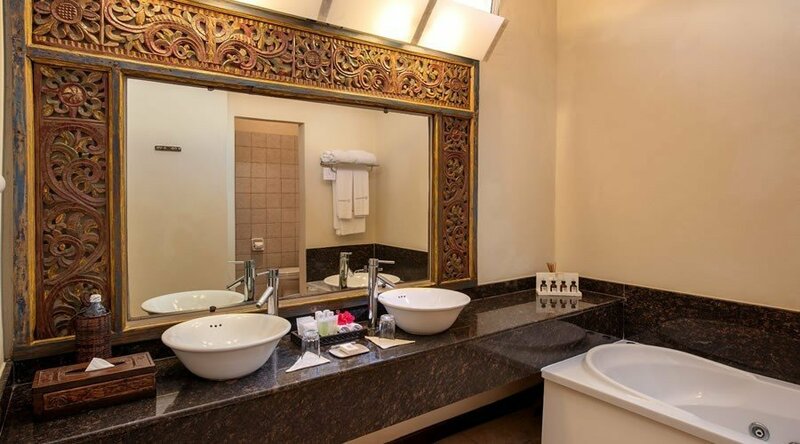 All of the rooms feature hydromassage jacuzzi baths and a private terrace with comfortable Balinese sun loungers. Diamonds Dream of Africa hosts two onsite restaurants and two bars for guests to enjoy their meals. The main restaurant, complete with an outdoor terrace and an indoor pool-view dining room, offers a selection of fresh seafood, Italian-inspired cuisine, and various alcoholic and non-alcoholic beverages. (Vegetarian menus are available upon request.) The beachfront a-la-carte restaurant serves a variety of seafood and meat dishes (not included in the all-inclusive package) along with all-inclusive drinks and wine. The Poolside Bar, open daily, serves snacks, light lunches, and beverages to keep guests satisfied without having to step indoors. The Main Bar serves spirits and cocktails in the evenings. All-inclusive guests enjoy snacks, teas, and cocktails throughout the day. There is no shortage of fun, challenging, and exciting things to do at Diamonds Dream of Africa resort. The nearby water sports center offers daily activities for guests to enjoy such as beach volleyball, beach soccer, table tennis, morning stretching, and aqua aerobics. Night entertainment programs and seasonal shows offer a local flavor after sunset. The proximity to Sandies Tropical Village allows guests from both resorts to enjoy each other’s company at activities and entertainment events. Diamonds Dream of Africa has one business center for meetings of up to 40 people. The room has moveable walls to customize the dimensions as well as high-speed wireless internet access (plus the internet access that is available in common areas). Its spacious outdoor property leaves plenty of room for outdoor events like wedding receptions and banquets with spectacular views of the ocean and gardens.